This set of 4 beautiful birch tree wall decals add warmth to any space! 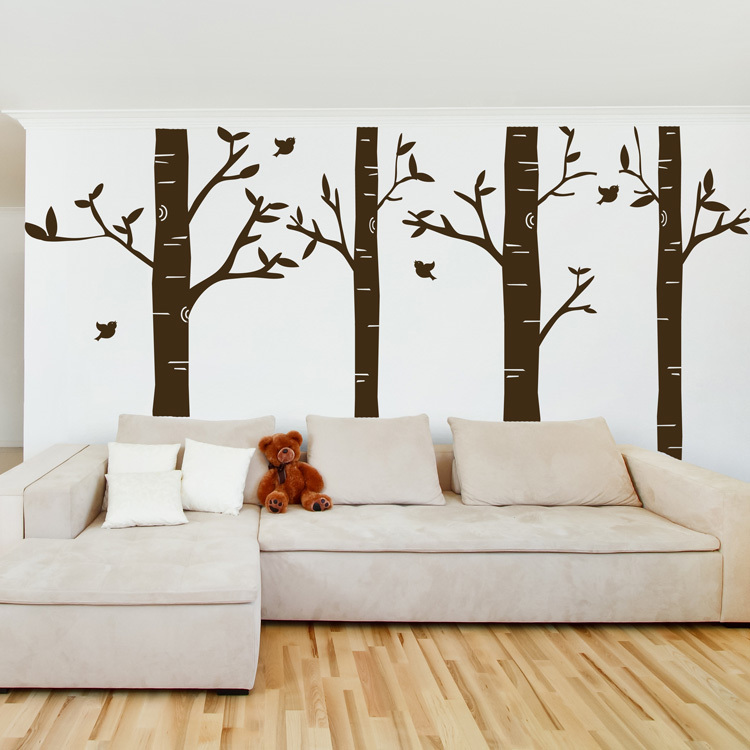 These tree decals come as a set of 4, in your choice of one color. Trees vary between 6 to 9 inches wide, not counting the branches and 9 feet tall. With branches, trees vary between 29 to 42 inches wide, depending on branch and leaf placement. These 4 birch trees, along with the branches and leaves, will come separately so you can place them however you choose! Practice decals are included with every order.